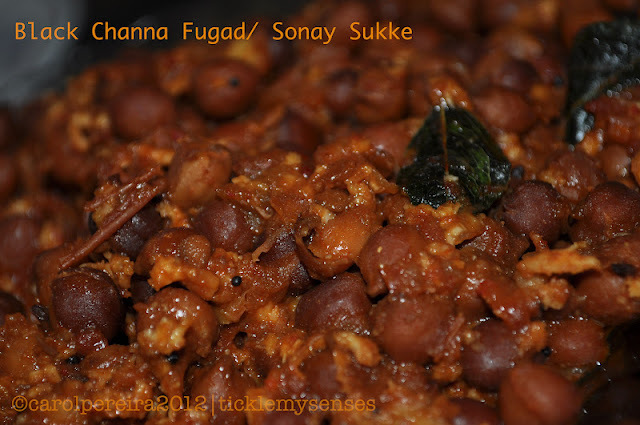 Tickle My Senses: Mangalorean Black Channa/ Sonay Sukke. 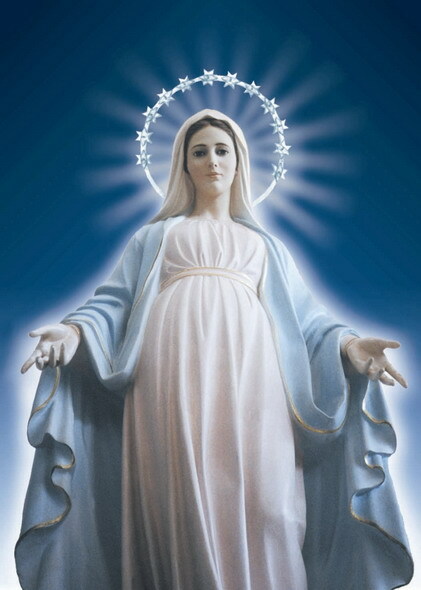 Well its that time of the year when we Mangaloreans celebrate "The Nativity Day/ Birthday of the Blessed Virgin Mary" or in Konkani 'Monthi/ Monti Fest' which falls every year on the 8th of September. To celebrate "Nativity Day" last year I prepared the "Mangalorean Mixed Vegetable Coconut Curry with Spinach, Broccoli and Soya Beans". This year I would like to add to my list of "Novein Jovaan", my favourite dish "Black Channa/ Sonay Sukke". 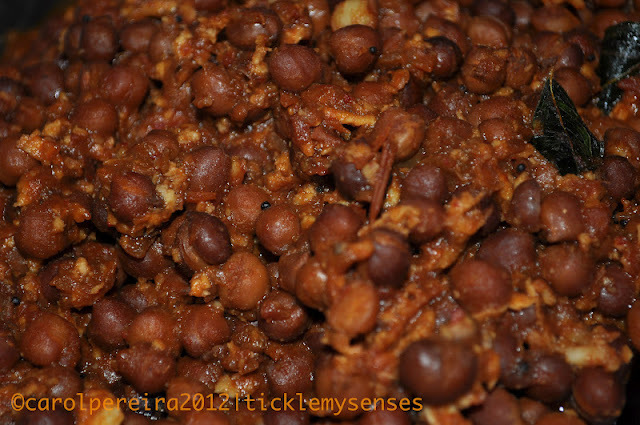 This is my mom's treasured recipe for a wonderfully spiced Mangalore black chickpea preparation. It is wonderfully spiced and very addictive. This dish adorns many a Mangalorean family's table on a regular basis. It could be considered a 'celebratory dish' as it is served during many a occasion such as the "Monthi Fest, "Roce Ceremony/ Coconut milk ceremony before a Mangalorean Catholic wedding" and almost every party that mom organises at home. It is a good accompaniment with hot drinks too. Unlike most recipes that ask for a ground spice paste/masala, this recipe can be made with with home store cupboard spices. Do give it a try and let me know how you enjoyed it. Black channa: 1/4 kg washed and soaked in water overnight. 1. Wash black channa and soak overnight. Next day, drain it and pressure cook along with minced onion, minced tomato, salt and sufficient water to cover the channas by 2 cms above it. Cook till channa's are soft (and retain their form and shape) and not mushy. Should take around 4-5 whistles. Then turn off the gas allow the pressure to condense before opening the cooker. 2. Open the cooker and check if the channa's are cooked. Turn the heat back on add all the spice powders and bring to a boil. When the gravy is almost drying add the freshly grated coconut. Turn off the heat. 3. Heat oil in a large kadai, add mustard seeds allow to splutter. When they splutter add crushed garlic and curry leaves. Fry till garlic lightly browns, add the channas from the cooker into the kadai. Add the tamarind extract, let the channas simmer for another 5 minutes, add the sugar, mix well, turn off the heat. *For variety you could substitute the above spice mixture with 2 tsps of sambhar powder or baffat powder. For More "Novein Joovan or Vegeterian recipes" please click the "Tickle My Senses Recipe index tab" and scroll down to "Recipes for Nativity day/ Novein Joovan". Hope you Enjoy!! Happy Monthi Fest! Really interesting - and a delicious recipe - wonderful post!